Designed to enhance the aesthetic look of your buildings. Our flashings are fabricated in 3m length with a .7mm material as standard. To order please complete and return our Flashing Pad order form. We supply a full range of GRP roof lights to provide daylight to any commercial, industrial or agricultural building. Heavy duty GRP roof lights to suit 1000/32, 1000/34 and 1000/20 box profile in 2m, 2.5m, 3.0m and 4m lengths. Other lengths are available by request. Twin and triple skin roof lights to fit the range of composite panels. Complying with all current building regulations. 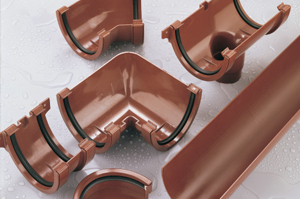 Profiled GRP roof lights to match box-profile sheeting in 1000/34 and 1000/20 profiles. Whatever the profile, we can supply roof lights to match. Big 6 roof lights available ex-stock at highly competitive rates. 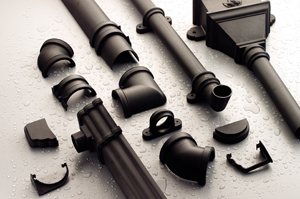 We stock 160mm half round plastic gutters, 110mm down pipes and all accessories in grey and black. We manufacture pre-finished metal gutters in your design in lengths up to 6m. The Spacer system provides improved strength and stability, together with savings in labour costs. Metal purlins available to suit your needs on request. 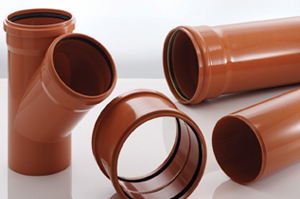 We are able to supply the relevant fixings whether you are fixing to timber or metal purlins.